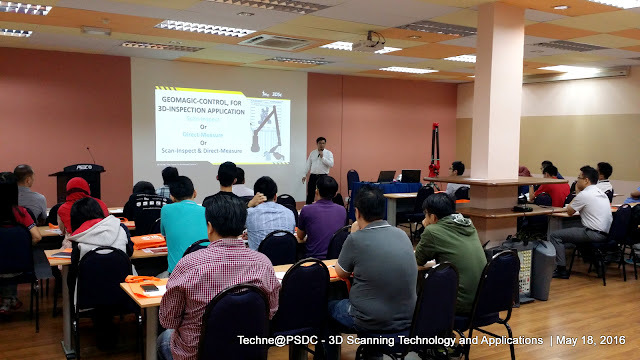 In an earlier session of Techne@PSDC, a series of technical talks and lectures organised by PSDC, we are pleased to be invited to share our knowledge on 3D scanning technology with the participants. The event was very well responded with some 40 participants joining us to explore the technology and its applications in the industry. 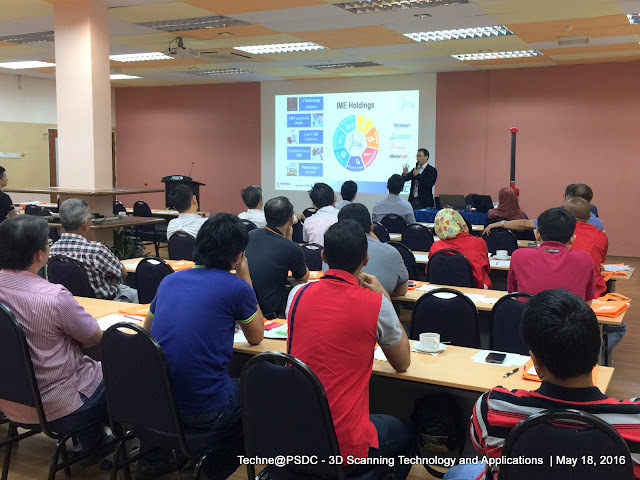 In the two-and-a-half-hour session, we shared about different types of 3D scanners and how 3D scanning technology can help throughout front line operations and pre-production processes. 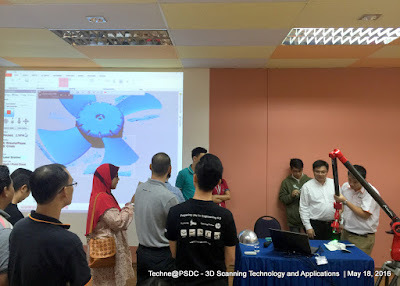 We also further discussed with the audience on how the technology allows one to have better control in product design, production engineering, quality check on ordered components, and product inspection. 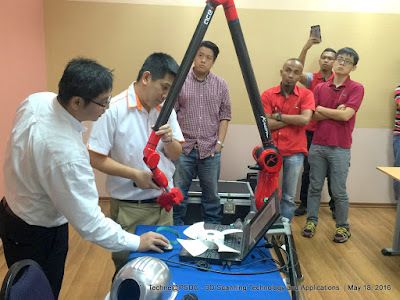 Of all its major applications – some of which has revolutionised the product development process – product inspection and reverse engineering are among the most common use of 3D scanning technology. We had a demo session at the end of our presentation showing the audience how the system, a combination of scanner and software, is employed to capture and reuse the 3D information. The whole process, including remodelling a design of the size and range of complexity of a computer mouse, was completed within twenty minutes. With the intelligent feature recognition of the system, it allows the user to have good control over the quality of a model created through the remodelling process. The crowd was also very impressed with the ease of use of the system. It was indeed a very fruitful day for us, sharing with an engaging audience the valuable practical information and insights of this technology.